I've been an amateur photographer since I received my first Brownie camera at the age of nine. Fast forward a few decades when I joined a camera club that had well equipped color and black & white darkrooms. I learned how to develop color prints and experienced the mixed blessing of spending multiple hour sessions in the lab to produce one or two good 11x14 prints from 35mm film. I've still got some of those photos -- matted, framed, and hanging on our walls. I watched the early beginnings of digital photography with great interest -- and some initial skepticism. My first couple of digital cameras (1 Mb and then 3Mb) which provided minimal photographic control and not terribly satisfying results did little to assuage that feeling. It wasn't until two (for me) nearly simultaneous events occurred that my feeling changed -- permanently: I obtained my first serious (consumer-level) digital SLR and I discovered Adobe Photoshop (v 5.1). And that was when I moved permanently into the digital darkroom -- on my computer. That was also when my hobby became a passion and began to consume more of my spare time as I focused on taming that very powerful and complex software while striving to get as much out of my camera as I could. When the first (beta) version of Adobe Lightroom came along, I quickly added that to my tool-set. I've continued to upgrade my equipment to the point that I have a reasonable collection of cameras, lenses, accessories, computers, and software. 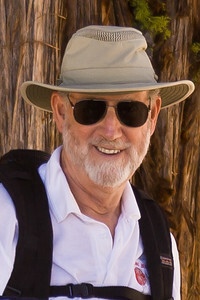 Since becoming a greybeard I divide much of my time between honing my skills and interacting with other photographers and lovers of photography via social media (Facebook and especially Google+). I hope you enjoy the results; I'll continue to share with you all via that media and this website. Alternatively, just click the Contact Me link on the menu at the left to go to a page ready to accept your message. In either case, I'll generally respond within a day or two (often sooner).